[PDF] Stellar rotation | Free eBooks Download - EBOOKEE! Description: Understanding how stars rotate is central to modeling their structure, formation and evolution, as well as understanding how they interact with their environment and companion stars. This lucid introduction to stellar rotation combines theory and observation, and includes all the latest developments in the field. 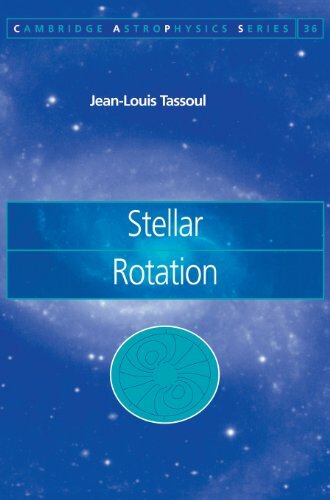 Jean-Louis Tassoul, a leading authority on the subject, comprehensively surveys how the rotation of stars affects the structure and evolution of the Sun, single stars, and close binaries. This volume will greatly interest graduate students and researchers studying solar and stellar rotation and close binary systems. It will also appeal to those with a more general interest in solar and stellar physics, star formation, binary stars, and the hydrodynamics of rotating fluids including geophysicists, planetary scientists, and plasma physicists. No comments for "[PDF] Stellar rotation".